1. There’s a web cam watching the park. From the Bulls web site click gameday, then stadium camera. Or you can click this. 2. 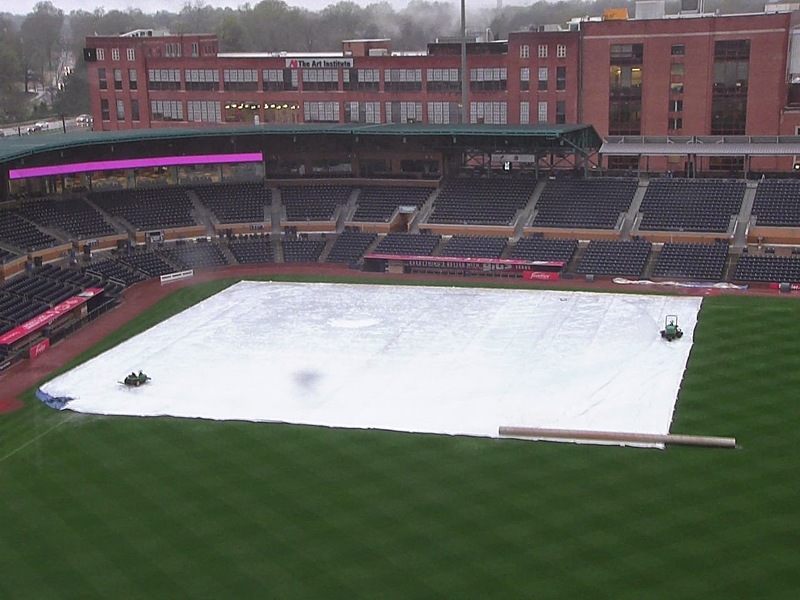 After the tarp is taken back off the field, it’s about 30 minutes before play begins. If you’re already at the game when the tarp is pulled out on the field, then, of course, you’re out of luck. If it’s a rainy day and you haven't left home yet, then just keep checking the webcam. If the tarp isn’t on the field, then they are getting ready to play. In my case it takes me about 30 minutes to get to the park. 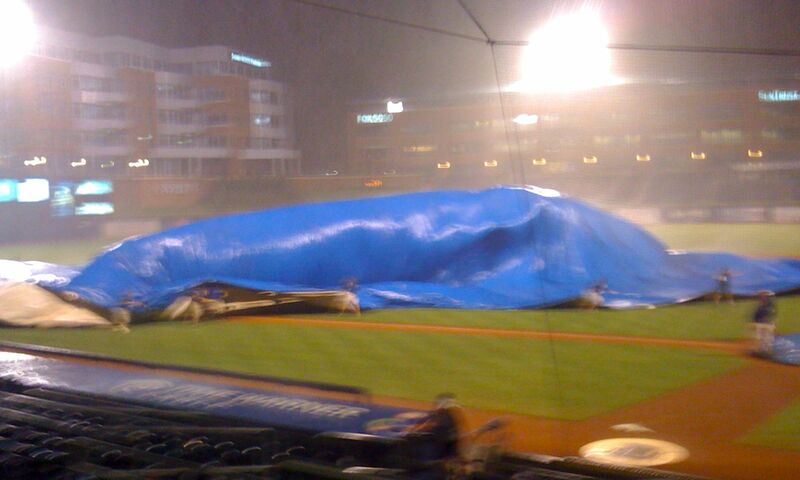 So once I see the tarp being rolled up I head out. That usually works. But sometimes the rain comes back. You should know that the IL and their umpires really, really, really don’t like to call a rain delay once a game has started. To actually postpone a game? Well, they are even more reluctant to do that. See that photo up top? They had not yet called the game. That was, by the way, an amazing sight to see. Even Wool E. Bull got involved.